I'm not sure where this photo came from. 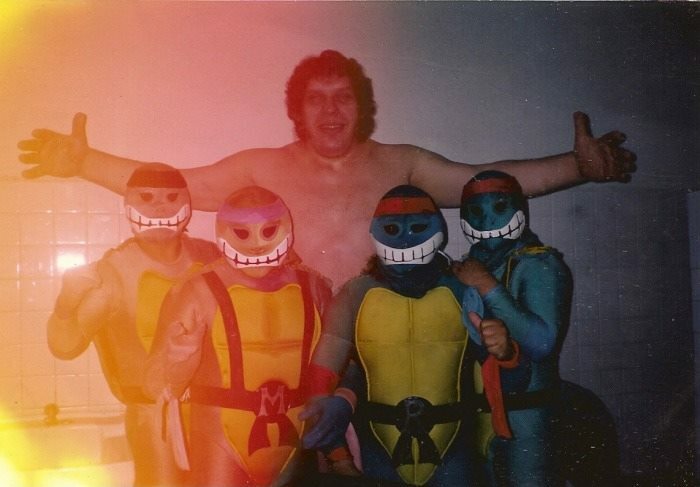 Andre the Giant posing with four guys in some positively awful/awesome Teenage Mutant Ninja Turtle costumes. Nothing today stands a chance of topping this. 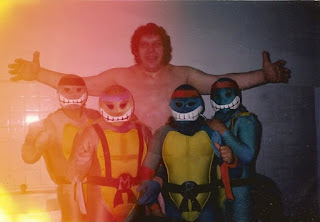 I can't help but wonder if this was some promo wrestling match - the turtle suits actually look functional and the guys look buff enough - like those chaps could be luchadors of some sort.